How much percentage required for getting admission in IIM for MBA? Required marks in 10th to get into IIM for MBA? Minimum required percentage in 12th to get admission in IIM for MBA? Admission procedure in IIM & Symbiosis for MBA? Required percentage in 12th to get admission in IIM for MBA? Required percentage in MBA entrance exam to get into IIM? Re: How much percentage required for getting admission in IIM for MBA? In the first step candidates are shortlisted for personal interviews from among candidates who have a valid CAT/GMAT score* who have applied for the programme and who satisfy the eligibility criteria. An overseas category candidate who applied with the GMAT score instead of CAT score should have a total scaled score of at least 700.
person seeking admission in IIM one needs to complete graduation in any field with at least 50 % marks for Generals and for SC/ST it is 45 % marks that is needed. After satisfying eligibility criteria candidate needs to sit for an entrance exam and the entrance name is CAT. Appearing for CAT exam make your chance more possible and not only that you have to score good percentile too ( above 90 ), then you will be able to get admission in any IIM's college . To get admission in any IIMs in India a candidate require to have minimum 60% marks in his bachelor from any recognized university & college. and also require to have a strong score in CAT entrance test. Yes, if you wish to get admission in IIMs for mba YOU ARE REQUIRE TO TAKe CAT test which is known as most toughest test for MBA admission and you have to clear it with a good score after that you will get a call from IIMs in which you get merit for GD & PI round after that you will selected to get admission in any IIMs. 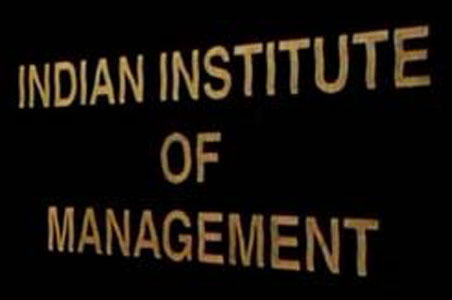 IIM refers to Indian institute of management, it's one of the best institute to pursue MBA. But for that you must have completed graduation from an recognised university. Your's percentage in graduation must be 50% if you are a general candidate. For obc and sc/st candidate the minimum percentage required is 45%. No age limit for the same. You must to appear in the entrance exam named common admission test (CAT). You must have to score above 90 percentile to get the admission. Candidates who are looking to get admission in IIMs in India so they must have any bachelor degree from any AICTE/UGC Approved college & universities with minimum 60% marks, Good Communication & Writing Skill, with a decent personality and a huge amount to to pay as fees for top IIMs in India. You may take Loan as well. If you belongs from any reserve category like SC/ST/PH so you will get a 5% rebate in your bachelor degree marks and require to have only 55% marks to get admission that. Last thing you have to take CAT as MBA entrance test and scored good in that other above things which mentioned has nothing. 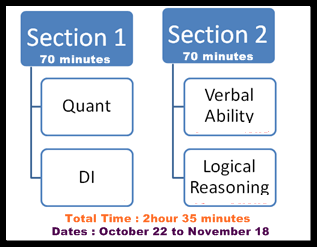 So if you fulfill the eligibility criteria start preparation to crack CAT Entrance test which is known as one of the toughest MBA entrance exam having multiple choice question. Check more about CAT on its website. CAT 2013. IIM not require any kind of percentage marks it is depend on CAT Exam score.So first cleared the CAT exam with good score. CAT stands for Common Admission test and this examination is Conducted by IIM's every year and to apply for this examination . Those candidate have above 50% in graduation are eligible for CAT exam.For SC/ST candidate this marks is decreased to 45% in graduation.IIM's have not special kind of eligibility criteria.IIM's criteria is treated as CATs criteria. This year exam date is already OVER.So you can try for next year.You can apply here maximum times because there is no limitation to attempts for CAT exam. Only those candidate score 92 to 98 percentile above in CAT score are applicable for IIM. The admission into the IIMs is based on the percentile score of the CAT exam , GD and then PI. equivalent qualification recognized by the Ministry of HRD, Government of India. and those who have completed degree requirements and are awaiting results can also apply. If selected, such candidates will be allowed to join the programme provisionally, only if he/she submits a certificate. IIMs may verify eligibility at various stages of the selection process. Prospective candidates must maintain a valid and unique email account and a phone number throughout the selection process. MBA from IIM'S is a dream of many people, But it is not that easy to do MBA from IIM Ahmedabad. First of all you have to understand this fact that most of the 90+ percentile student did not get call in last year's CAT and this shows that even after scoring 90+ percentage still you are not in a safe zone to get into IIM. 1. A good percentile in CAT is a MUST. You have to, have to score more than 95-98% in CAT in order to get a sure call from IIM ahmedabad. 2. Your Prior experience in any kinda job gives you an added advantage over others. Your experience will make it a bit easier for you to secure a place in IIM. 3. Your educational background can also help, That means a good and consistent performer is always ahead of others when it comes to IIM. 4. Last but not the least is your performance in the interviews. If you convince them well, then you can expect a place in IIM Ahmedabad. Difference in quality of IIM MBA syllabus against different MAT colleges? Scope of doing MBA after completing B.Com? Eligible for seeking admission in MBA degree course in IIM? What qualification is required to appear for the entrance exam of MBA GMAT? ca or mba from iim a is best?